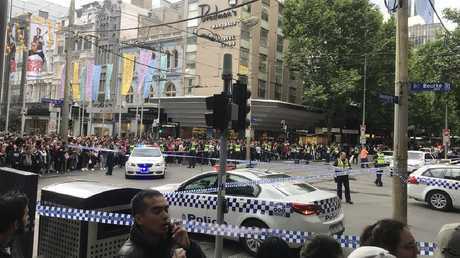 UPDATE: THE man who went on a stabbing attack in Melbourne's Bourke St is reportedly dead after being shot by police. Victoria Police confirmed the man has died and had links to convicted terror plotters. It's also believed there were gas cyclinders in the car that was set on fire. According to the ABC, witnesses saw the man crash the car, get out and throw an object into the car that set it alight. Footage captured the shocking scenes as a car went up in flames and police shot the knife-wielding man in the chest after he confronted officers as they arrived at the scene. He was taken to hospital under police guard in a critical condition, and according to the Herald Sun, has since died. In a press conference, Victoria Police Superintendent David Clayton told reporters that one of the people stabbed had died at the scene. Another two victims have injuries to their upper body. 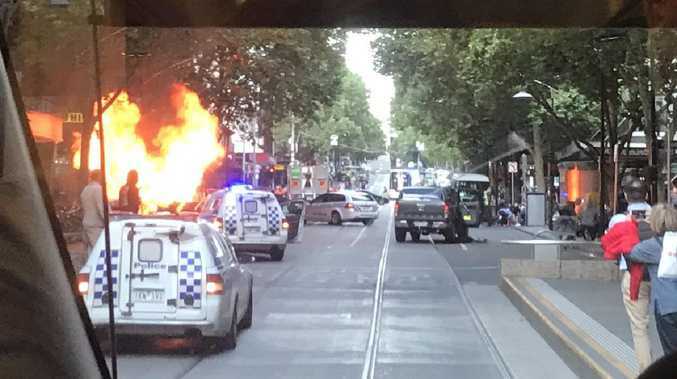 Police say they were called to the area about 4.10pm after receiving reports of a car on fire near the corner of Swanston St.
Supt Clayton told reporters that when officers got out of the car, they were confronted by a male brandishing a knife and threatening them. "Passers-by were calling out that members of the public had been stabbed," he said. EARLIER: ONE person is dead after being stabbed in Melbourne's Bourke St this afternoon. A Victoria Police spokesman confirmed one person had died and three people in total had been stabbed this afternoon. A car was set on fire and a number of people were stabbed this afternoon before the knife-wielding man was shot by police. 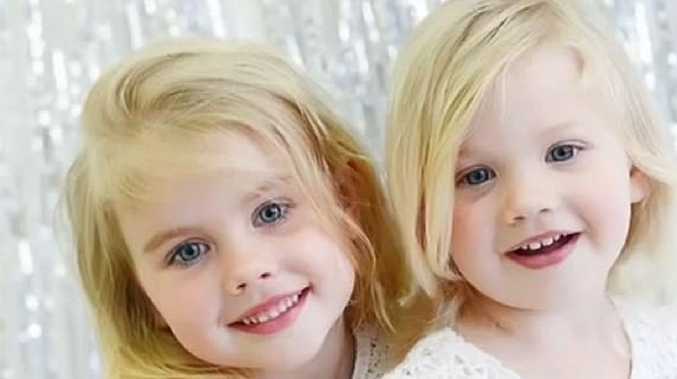 Police say the exact circumstances have not yet been determined. In a statement, Victoria Police said a man was arrested at the scene and taken to hospital in critical condition. He is under police guard. "A small number of people are being treated for stab wounds," the statement said. Ambulance Victoria said it assessed three people at the scene, who were then taken to hospital. One had a neck injury, a second person had a head injury; and the condition and injuries of the third person is unknown. Footage on social media shows a blue ute up in flames and a man dressed in a black tunic and white pants menacing police with what appears to be a knife. Another bystander tries to stop the man by rolling a shopping trolley in his path. 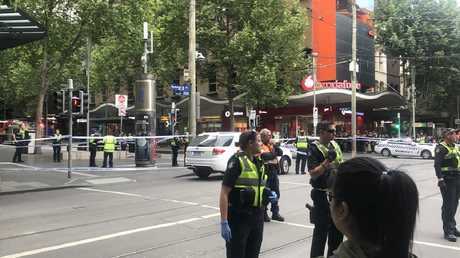 UPDATE: A MAN has been shot by police after setting a car on fire and allegedly stabbing a number of people in Melbourne's Bourke St.
Police have confirmed they responded to reports of a car on fire near the corner of Swanston St about 4.20pm. In a statement police said a man was arrested at the scene and has been taken to hospital in critical condition. He is under police guard. 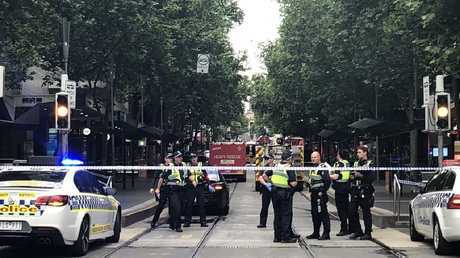 Melbourne resident Meegan May told news.com.au she was on a tram on Bourke St heading into the city when it stopped just before Elizabeth St about a block before the mall. She heard someone start screaming "he's got a knife". She looked through the back window of the tram and noticed a car on fire. There was a man and two police officers trying to calm him down. "A moment later, I heard a loud bang, to me it sounded like a gunshot," she said. Businesses are currently shut near the incident, with police telling people to stay inside. Sam, from the cafe, said: "There was just a lot of bangs. There's only staff here, police told us to stay." Another person nearby said there was four loud explosions heard earlier this afternoon, which may have been linked to a ute nearby. Some fled the area fearing there may be further explosions. A bystander in Bourke St said that a car had burst into flames. "There was a guy stabbed and there was a car explosion in Bourke Street," he said. "It was near JB Hi Fi, near the corner of Russell Place." Bourke St is blocked off . "They ran into a cafe and locked themselves in a kitchen," he said. 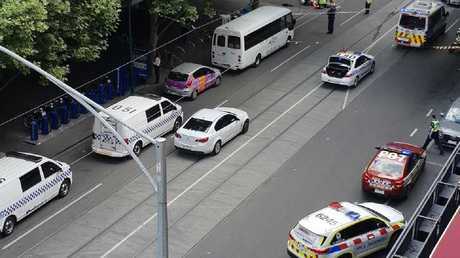 A police statement said: "Police are aware of an incident in the vicinity of Bourke Street. Police are asking for members of the public to avoid the area. We will provide information as it comes to hand."